I'd like cheese on my entire family! : Rush's Bain Conspiracy Goes Deeper! 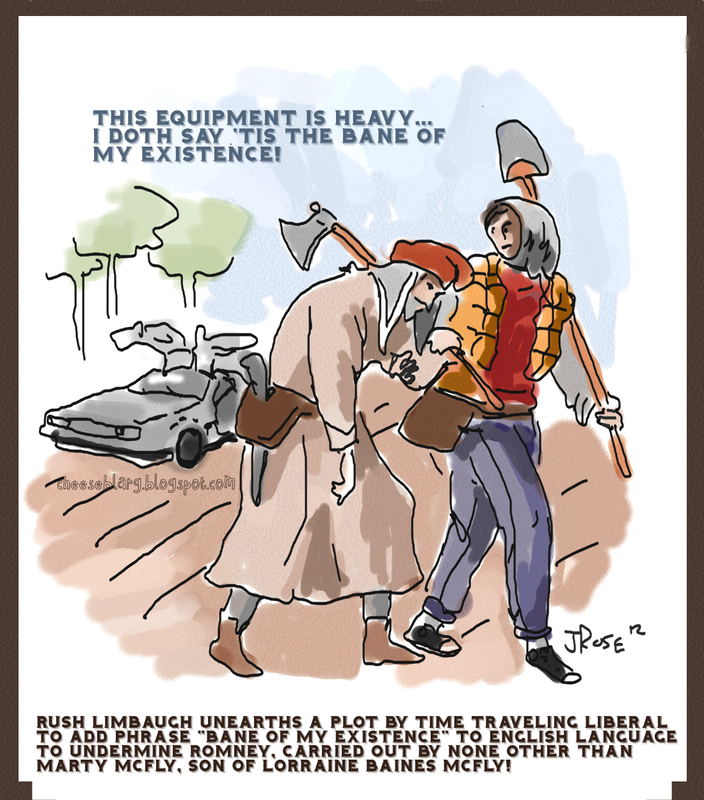 Rush's Bain Conspiracy Goes Deeper! It was reported that Rush Limbaugh made the claim that the character Bane (who was featured in the 1993 DC Batman Comics) was created to be the villain in "The Dark Knight Rises" to conjure thoughts of Bain Capital, which was designed to undermine Mitt Romney's presidential bid. This unearthed woodcut comic from the 1500s shows that it goes way deeper than that. Oh! Don't forget The Book of Mormon is out on Broadway right now! I bet that's a ploy to undermine Romney's religion, therefore undermining his character! You see what I did there? I can speak whacko too. Now see, there's an election I can follow: one with stable time loops and pop culture references. Politics just keep getting better and better. Doesn't the French word "Bain" mean "Bath" in English? Perhaps the French, when they first set about forming their entire language, decided to include a veiled threat to drown Mitt Romney in a bathtub.